This so romantic cake topper is $5 off now thru January 8, 2011 when ordered thru us. Just contact us to order or let us know if there is another style you are looking for. 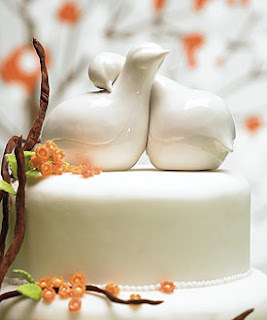 interlocking their necks in an embrace, or use separately in a centerpiece.